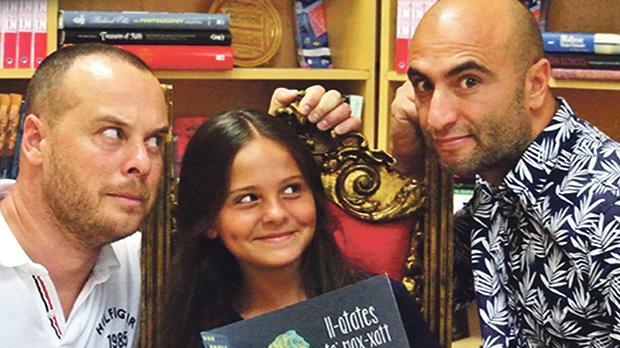 Il-Kotba Jieħdu l-Ħajja (literally meaning ‘books taking on a life of their own’) is an activity which will be showcased for the first time during the Malta Book Festival 2018 at the Mediterranean Conference Centre, Valletta. The duo Danusan, alongside the National Book Council, are inviting families, children and also older people to come and enjoy 90-minute show packed with humour, the subject relating to books and reading. The shows in the Republic Hall are on today at 7.30pm, tomorrow at 7pm and on Sunday at 3pm. Tickets need to be purchased beforehand from www.showshappening.com/mcc/IlKotba-Jiedu-lajja.